A little over 15 years, ago Steve McVey wrote the best selling book Grace Walk. Apparently when McVey got to the end of that book he wasn’t done writing, because a few years later out came his follow-up book Grace Rules. The second book, like the first one, takes aim at the subtleties of legalism that often find expression in our churches. And that’s not just some pithy saying. When you find yourself resting in a good God, yet at the same time doing the very thing that He put you on the planet for, it is the greatest thrill in the world! Nothing else comes close to living in the sweet spot of being who God made you to be. I’m talking about trusting Him, allowing Him to reveal Himself supernaturally in your circumstances, and bearing fruit effortlessly. In the 15 years I lived in Hong Kong, I met literally hundreds of missionaries and church workers serving the Lord. For a while I could never figure out why so many were joyless. Many looked like they had lemons for breakfast. This puzzled me, because serving the Lord ought to be a joy (Is 12:3). But it never is when we’re operating under law, when we serve because we think we’re obliged to serve. Serving the Lord is also supposed to be – dare I say it – easy. That’s Jesus’ word, not mine (Mt 11:30). Steve McVey gives a brilliant example of easy work when he tells the story of Philippe. Philippe came to Atlanta from West Africa, met Steve McVey, heard the gospel and gave his life to Jesus. As a new believer, Philippe visited Steve once a week to learn how to follow Jesus. Each week Philippe asked questions and took extensive notes. Steve McVey only learned later that Philippe was sending his notes to his village chief back in Cameroon. The chief would call all the villagers together and read them Philippe’s notes. Some of the villagers got saved and were asking questions. The chief passed these questions to Philippe who then brought them to Steve. If I was to summarize Grace Rules in a sentence, it’d be this: No one can live the Christian life except Christ. Our role is to trust Him to express Himself through us. Steve McVey asks us to imagine what would happen if the spirit of Mozart suddenly came into you. What would you want to do? You’d reach for the nearest piano and start playing! You would be thrilled by this amazing new ability. You would want to express your new talent often. Whenever people came around you’d say “watch this!” and dazzle them with your creative compositions. If you are established in the grace of God and are looking for pictures of what it means to let Christ live through you, read Grace Rules. When God brought me into grace, these were the first two books I read. I think when we come into a new truth we are naturally drawn to the right thing. The most amazing thing to me about grace is that as you feed it, the revelation grows bigger and bigger and bigger. 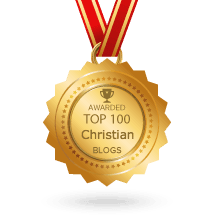 Your article on Christians not needing to confess to be forgiven has really helped me. I read Grace Amazing, and have Grace Walk on hold at the library – but it seems to be lost. I’m reading the new once, 52 Lies Heard in Church Every Sunday (I watched all the vids online, too). It’s great. May the glory of God cover the earth as we let Christ live through us. He in us is the hope of glory. We rest in simple intimacy with Him so we can rise in His almighty strength. Christ in us the hope of Glory. I’ve been saved for many years. I am in Christ and He is in me. Here’s my problem. Every time I pray and ask God to let His light shine forth from within me…it just never seems to happen. Every time I leave my prayer chambers and enter the world at large, I forget that He is in me. And nothing seems ever to get done that is worth my lot as a Christian. Very frustrating to say the least. Any suggestions??? Yeah. Wow. Okay, got it!